2019 ENTRIES ARE OPEN! - Time Attack® - It's not racing... It's Time Attack!! Provisional Championship Regulations Available and entries are now open! As you will see when you open the regulations, the sections that have been changed from that of last year have been highlighted in red. 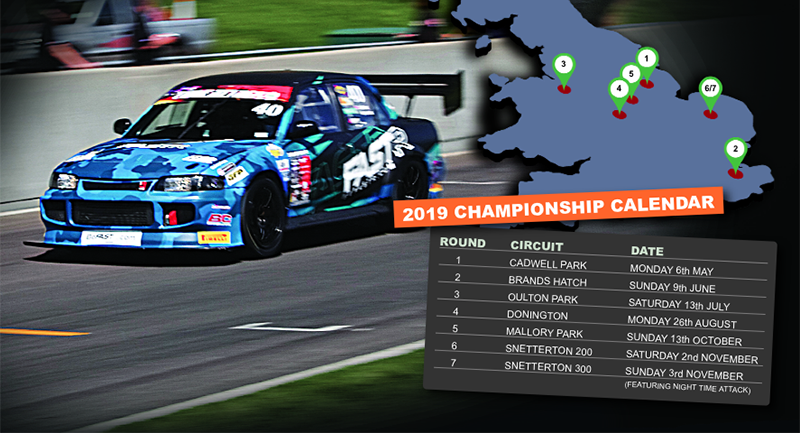 Once again, the continually evolving nature of Time Attack means we have made a few subtle and a number of more significant changes in order to improve and enhance our championship in order to make it more accessible and competitive. Please note that at this point in the season the regulations are provisional. This means they are still to be signed-off by Motorsport UK (formally the MSA) and therefore, are subject to change until this time. I am pleased to confirm that we have been able to keep the entry cost in line with previous years and the price per round has not increased. And, with fewer rounds than that of 2018, the overall cost of full-season registration is significantly cheaper. In addition, we have extended the reduced advance payment period and reconfigured our extended payment plans to make entering even more affordable. If you are thinking of joining us, then we suggest you register for Club Time Attack ASAP. It’s a requirement of entry and means that you’ll receive the latest news and bulletins first via our internal communication system, Basecamp.